The Spanish began to settle New Mexico in the sixteenth century, and although scholars have long known the names of those settlers, this is the first book to place the colonists on the map. 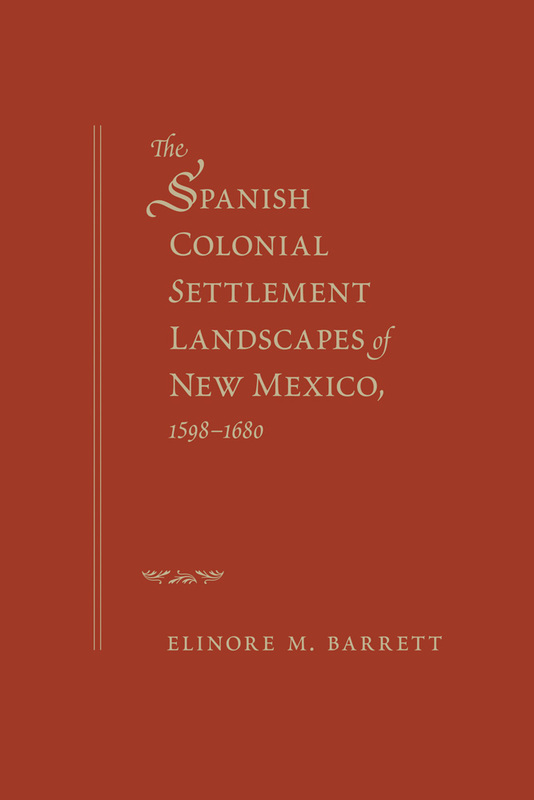 Using documentary, genealogical, and archaeological sources, Elinore M. Barrett depicts the settlement patterns of Spaniards in New Mexico from the beginning of colonization in 1598 up to 1680, when the Pueblo Revolt forced the colonists to retreat for a time. Barrett describes the natural environment and the Pueblo villages that the Spanish colonists encountered, as well as the activities of the Spanish civil and religious establishments related to land, labor, and tribute and the mission and mining landscapes the colonists created. She also recounts the founding and settling of Santa Fe and analyzes demographic dynamics, adding a new dimension to studies of the colonial Southwest. Elinore M. Barrett is a professor emerita of geography at the University of New Mexico. She is the author of The Mexican Colonial Copper Industry and Conquest and Catastrophe: Changing Rio Grande Pueblo Settlement Patterns in the Sixteenth and Seventeenth Centuries (UNM Press).